What is a Culture of Innovation and Continuous Learning? 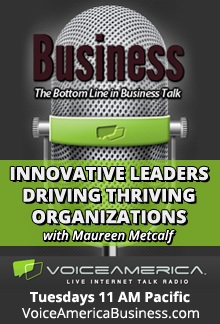 This blog is a companion to the interview with Guru Vasudeva on VoiceAmerica “Innovative Leaders Driving Thriving Organizations” on April 18, 2017 Nationwide’s Journey to Create a Culture of Innovation and Continuous learning. Carla’s company had just decided that being agile would create a strategic advantage for them as a company shifting from manufacturing technology to a company that wanted to compete in the data and analytics space. One of the key challenges they needed to address was to shift from a culture of manufacturing for the telecom industry toward a high-tech culture of agility. The first task was to define the cultural principles and agreements about behavior. This blog offers some of the key principles they used to inform their transformation. To successfully implement an agile or innovative business model, the organizational culture and behavioral agreements need to support agility. This culture model is a product of a combination of Agile software development principles combined with other innovative culture models. Each company will refine culture to align with their specific organization. Culture can make the difference between successful implementation and failure, especially when the organization is making a major change. This is particularly true when organizations move from a more traditional culture to one associated with agility and innovation. This culture model looks at five key elements that we consider foundational to create an environment and agreements that support agility and innovation in a rapidly changing environment. Customer first. Organizations that are willing to listen to customer recommendations and have a process to evaluate those recommendations have the highest probability of retaining customers and staying ahead of the competition. We create an environment in which we encourage our customers to offer recommendations and we evaluate them systematically to see how we can use them to become more effective. Collaborative. Organizations that work cross-functionally can create prototypes much more quickly than environments that work sequentially. This means every group and person must consistently have an opportunity to contribute their expertise. It also means we create an environment in which people feel safe to express their perspective. Rigorous experimentation. We value the creative process. We encourage people to develop hypotheses about how to make changes and test their ideas. We continually learn from controlled and well-crafted experiments. We reward innovation and learning. Nimble decision making. We recognize that we don’t have perfect information and a decision today can be refined as we learn from our experiments later. In an environment of continual evolution, we will never have full information and often we won’t even have sufficient information to make a long-term decision, but we often have enough information to decide about our next step. We need to know our long-term direction, and reward making decisions and keeping an open mind to revising course when we gain additional information. Resilient. We value adaptability, flexibility, and curiosity as they are the fuel for our process. Ongoing change requires we build a foundation of well-being that supports ongoing creativity and change. Resilient people respond to situations with an attitude of curiosity and the ability to act with flexibility and adaptability. We recommend these elements as general guiding principles and corresponding agreements about how we work together as colleagues. When organizations have explicit agreements such as these, they can drive behavior and ensure that organizational processes are aligned. This alignment is as important as having principles and agreements. An example of alignment is retrospective meetings (also called lessons learned meetings) where employees are expected to explore what worked and what did not. These meetings only work if employees are rewarded for sharing what they’ve learned and not punished for making mistakes. If you are trying to create a culture of agility and innovation, these are some of the elements we recommend you explore. 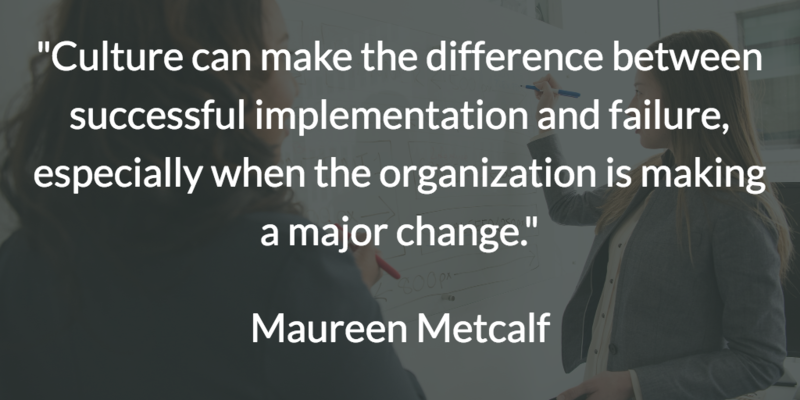 https://www.innovativeleadershipinstitute.com/wp-content/uploads/2017/04/CultureQuoteMetcalf.png 512 1024 Maureen Metcalf https://www.innovativeleadershipinstitute.com/wp-content/uploads/2018/10/logo.png Maureen Metcalf2017-04-18 08:00:452017-04-17 19:26:35What is a Culture of Innovation and Continuous Learning? Many aspire to join boards, and other leaders aspire to manage their boards in order to promote organizational success. 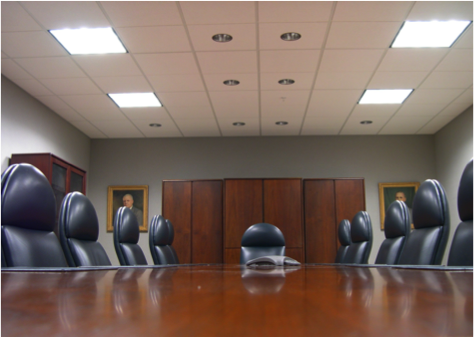 Much has been written about responsibilities of boards of directors, but few distinguish those task lists from the essential roles of a board and its directors. By understanding those few, basic requirements of a board, the savvy leader can maximize effectiveness in driving organizational success. Dan walked into the board meeting to discuss the company’s performance and strategy going forward. He was confident that this would be a smooth meeting because he meets regularly with board members and has a clear understanding of their values and past guidance. As a veteran CEO, he understands the importance of working closely with his board and that progress means that the entire senior leadership team is working from the same “sheet of music.” Key to his success as a senior corporate official is to comprehend everyone’s role and anticipate the board’s needs as they work together to ensure the organization’s success. So, what does Dan know regarding “board basics” and roles that allow him to have this confidence? He understands the importance of a collective corporate conscience. Board members must ensure that the entire organization acts in a socially responsible and ethical manner. While it is true that public corporations have the primary goal to deliver stockholder value and create sustained value, they must also act in a legal and responsible manner in the process. We submit that corporations that over-emphasize profit (some people would argue there is no such thing) can put the organization at risk by “cutting ethical corners.” A single, historical example says it all: While the complete case study of Enron is beyond our purposes at hand, their clear fixation of profit over ethics and unnaturally fast growth over sustained growth provided business schools with the stereotypical example of an organization lacking a corporate conscience or ethics. Shareholder advocacy is self-evident to most business people. However, Dan knows that stakeholder considerations go beyond just the shareholders. Leaders and boards are always making trade-offs to ensure all key stakeholder interests converge in the right way for the right reasons, at the right time for the good of the organization. The board is responsible for creating the strategy and oversight to instill trust of all stakeholders in the corporate culture. Shareholders can vote with their feet if they feel that their interests aren’t taken care of, as can rank-and-file employees and management. Further, partners and suppliers have options of price and contractual protections that potentially make the cost of doing business with the company problematic. While profit remains the main measure, it is not the only performance assessment of overall health and trends of the enterprise itself and its eco-system of stakeholders. We believe that John Mackey, co-founder of Whole Foods, embodies these principles. He is clear in his passion about his company making a strong and sustained profit—and that he sees part of that equation being fulfilled through the creation and nurturing of a healthy eco-system of employees, suppliers, partners, customers, and the environment. The results of his company in his market sector validate this approach by successfully meeting ALL stakeholder expectations. To ensure sustainability, Dan recognizes that the board serves as a “strategic compass” for the organization to safeguard corporate well-being and long-term growth. This means organizational focus is on the long-run and is constantly attuned to changes in the company, the industry, consumer tastes, technology, and society in general. The key is differentiating that which matters from that which is merely interesting or important, and anticipating future roles and values for the corporation. Again, there are many epic failures of a board being less aware, or completely unaware, of the conduct and performance of their company. We find that there are relatively few organizations with both the board and senior management capable of weathering changes over time. In 1950, the average company stayed on the S&P 500 for half a century. By 2012 the average company stayed on the S&P 500 for thirteen years. The dynamic forces facing corporations in the 21st century are changing the nature of business—and the speed with which change occurs compounds the complexity. Dr. Dale Meyerrose, major general, U.S. Air Force (retired) is president of theMeyerRose Group—a cybersecurity, executive training/coaching, and eHealth technology consulting company. He is an adjunct instructor at Carnegie Mellon University, Institute for Software Research running their Cybersecurity Leadership Certificate program. General Meyerrose, a Southwest Asia veteran, was the first Senate-confirmed, President-appointed Chief Information Officer for the Intelligence Community after over three decades of military service. Maureen Metcalf, founder and CEO of Metcalf & Associates, Inc., is a renowned executive advisor, consultant, author, speaker, and coach. 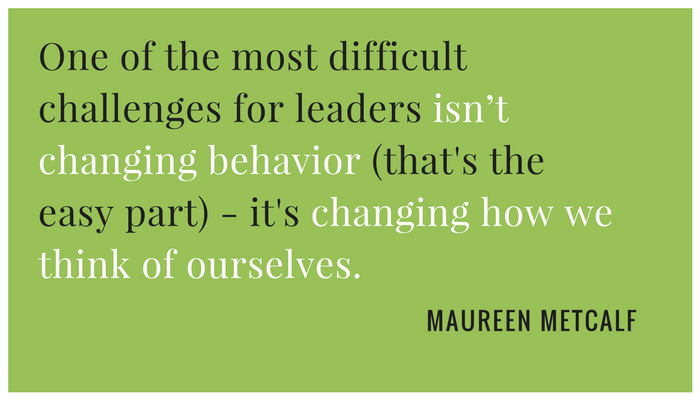 Maureen designs and teaches MBA classes in Leadership and Organizational Transformation. She is also the host of an international radio show focusing on innovative leadership, and the author of an award-winning book series on Innovative Leadership, including the Innovative Leaders Guide to Transforming Organizations, winner of a 2014 International Book Award. 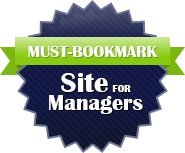 This blog was written as a collaboration between Maureen Metcalf and Jim Svagerko. It is a companion to the VoiceAmerica interview featuring Bill Wulf, MD and Jim Svagerko MA, PCC, talking about the leading work Central Ohio Primary Care with 300 physicians is doing and preparing for health care reform and new innovations in medical care over the next five years, and how it became a leader in their field and what they are doing to shape how the field of medicine and how it is practiced. While the business of healthcare is run by physicians and administrators, health impacts every one of us. It is our responsibility to own our individual health because it effects our ability to enjoy life. Many of the challenges we face are a direct result multiple factors within the economy, and some health issues are a consequence of socio-economic disparity. Insurance plays a role when sometimes it is difficult to get access to the highest quality healthcare with the limitations on coverage. Additionally, factors in families and schools can play a role when adverse childhood events leave a lifelong impact on overall health. Injurious childhood events often contribute to mental health and drug and alcohol issues later in life. Often, the cycle continues. Many of these factors are interrelated and solving them requires cross-sector focus on community health. Communities like Franklin County in Columbus, Ohio, have strong collaborative processes to address these complex issues. Move from pay for service to pay for outcomes: COPC is beginning to be paid for creating value for patients as they move from strictly fee-for-service payments. This shift completely changes how medicine is delivered and how doctors and all professionals associated with care delivery focus their efforts. 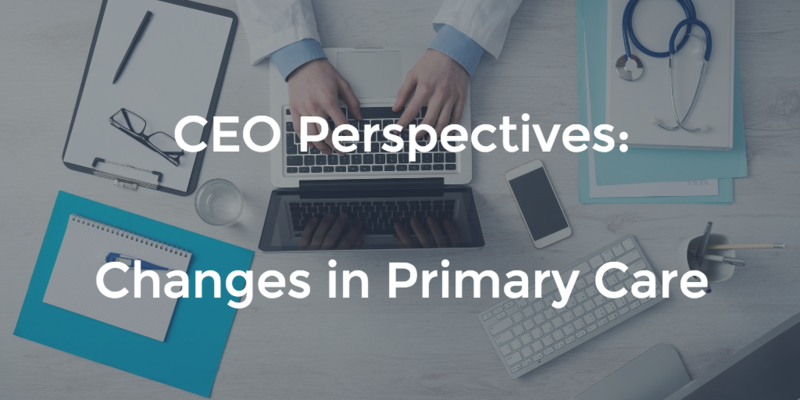 COPC has taken a comprehensive approach to change that considers the overall system and how practices operate, the culture that encourages procedures as the foundation to manage risk, and physician scheduling and daily activities. 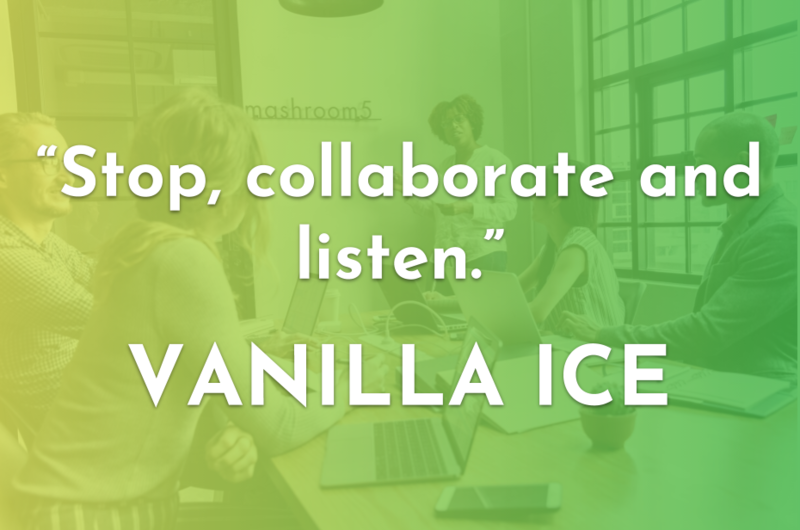 Move to a culture of vibrancy and collaboration: Significant change is enabled by a culture of mutual respect and collaboration where all team members are encouraged to voice opinions. Leadership development: COPC has invested in physician leadership development through a variety of methods. Metcalf & Associate’s Maureen Metcalf and Jim Svagerko were engaged to support COPC, and assist them in their development. They guided the leadership team through their own personal development as well as a deep dive into the workings of COPC. Maureen and Jim will continue their work with COPC this summer and fall. In addition, COPC sends their physician leaders for education through a local professional association and their leadership team is using the Innovative Leadership Workbook for Physician Leaders, supported by Metcalf & Associates, as a team activity along with peer coaching to support growth and development, as well as promote a culture of growth and mutual support during its transition. One of the key trends we see in health care is a shift in focus from the “all-knowing” physician to patient owning health outcomes. We are seeing a dramatic increase in “wearables”, everything to medical devices like an insulin pump to the standard Fitbit® and calorie counting apps. Many of us are using these devices to manage our own behaviors. Primary care physicians and other healthcare professional are also using these apps and the data they provide to manage the chronically ill. It is crucial that leaders in health care arm themselves with resources to assist them as they move through these undefined areas. It will be necessary for leaders to first gain an understanding of their leadership style and abilities before they can hope to lead others. One way is through careful discernment with an executive coach/advisor to explore and present opportunities for the leader to move into a space that will allow them to create a climate and atmosphere that will serve future health care needs. Organizational Vibrancy is important topics. 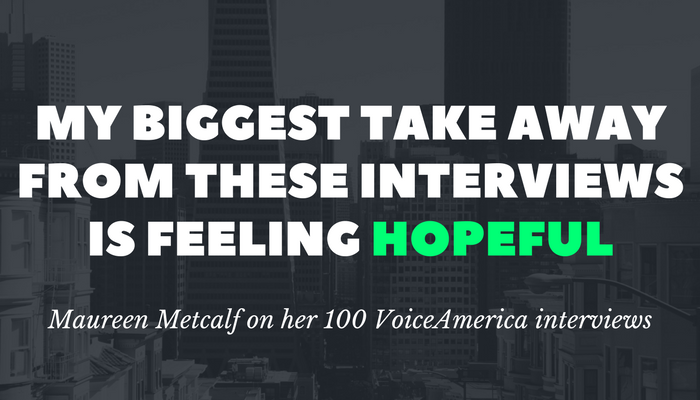 It is the topic of our interview this week (1/12/16) on the Voice America Business series. This body of work is making a great impact in pockets of organizations around the world and yet relatively unknown in others. I have personally found this model to have a great impact on several of my clients. It has helped them identify where they excel and what gets in the way of their teams bringing about the innovative solutions they say they want and need to have a thriving organization. The interview is with Jim Ritchie-Dunham, Annabel Membrillo, and Ana Claudia Goncalves. 2. How do agreements fit into this equation? 3. As the CEO of an international organization – what question were you looking to answer when you starting considering assessments? 4. Why the vibrancy assessment? 5. What value did you get? 6. What were the leadership qualities required to successfully implement the changes recommended to create a highly vibrant organization? To accompany the interview, the participants provide an in depth case study for the project they discuss. To learn more about vibrancy, check out the website or the initial vibrancy post on our website. If you are interested, please take the vibrancy assessment. The assessment is available in 11 languages including Arabic, Chinese, Japanese, Spanish, Afrikaans, Dutch, French, German, and Russian. This post is an excerpt of a paper to be published in the Integral Leadership Review in September, written by Maureen Metcalf and Carla Morelli. This post is a companion to the Voice America discussion with Daryl Peterman, CEO of Abrasive Technology and Mike Morrow-Fox with Metcalf & Associates. Today’s topic is Ecosynomics and the science of abundance, a quantitative framework developed by Jim Ritchie-Dunham and team based on extensive data collected across 93 countries identifying the factors that make an organization vibrant. This post highlights a key element of the Ecosynomics framework and how it drives organizational abundance by improving an organization’s ability to innovate out of key problems and create strategic advantage. You can learn more on the radio show, where he appears with Christoph Hinske, a fellow at the Institute for Strategic Clarity, and James Drinkwater, a senior policy advisor at the World Green Building Council. How often have you worked in a situation where you withheld recommendations because it was easier to keep them to yourself than risk implementing something difficult? Does your organization unconsciously support the status quo rather than continually update what it does and how it performs work? The unconscious “agreements” we make with one another and with the company often drive behaviors that sub-optimize performance. Here is an example of why Ecosynomics matters. When working for a technology company, Bill proposed several IT cost saving ideas. He was part of HR at this company, but had a strong technical background, which made the recommendations solid. Though they would have cut the licensing cost of HR software by $1 million per year, his suggestions were not implemented because the organization lacked a mechanism to make the suggested changes – it was less risky for all involved to continue with a higher-cost vendor than take on the personal risk of making a change that could be difficult to implement. Enter Ecosynomics: a highly validated framework, set of assessment tools and transformation process that helps organizations address this type of endemic challenge. The Institute for Strategic Clarity developed Ecosynomics based on observations of thousands of “positive economic deviants” (AKA, the “rock stars” of their categories) in 93 countries and 12 languages. The framework names the phenomena and supports all forms of social systems in making the shift from being stuck in the scarcity-driven structures proposed by contemporary economics to abundance-based structures offered by scientific insights. This well-tested framework quantifies the cost of scarcity and benefits of abundance, providing both a starting point and guiding frame for organizations to shift in ways that seemed impossible before now. Ecosynomics looks at what people around the globe are doing to move from perceived realities of scarcity – characterized by ingratitude, “stuckness,” anxiety, apathy, mistrust, antisocial competitiveness, active disengagement and a high level of organizational failure – to perceived realities of abundance characterized by enthusiasm, flow, creative capacities, effectiveness, efficiency, trust, social solidarity and wellbeing. The research shows this is a basic, universal experience every human being knows: worldwide, tens of thousands of groups and teams in business, government, civil society, networks and communities are in the process of experimenting with and reinventing their fundamental agreements. They are discovering that they can generate higher levels of economic growth and business health, and lead the way to more productivity and job creation. A key foundation of Ecosynomics is that (often unconscious) agreements among members of a group are the differentiator between organizations that consistently transcend the constraints of daily organizational lives and those that don’t. By creating conscious agreements that enable participants to identify creative solutions, they can more intentionally determine how to implement innovation and execute for results. Organizations that can’t do this will be outpaced by those that can. The problem with most organizational agreements is that we don’t see them. They just are. Most often, we are unaware that what is happening around us is based on an agreement that one could potentially change. It seems that life is just that way. In our day-to-day interactions – at work and at home – we engage in a set of agreements and relationships whether we realize it or not. Sometimes they work, resulting in vibrant experiences and great outcomes, and sometimes they do not, leaving us feeling depleted, fatigued and disappointed about lousy outcomes. These agreements are a key foundation of organizational culture; as the agreements change, they drive culture change. 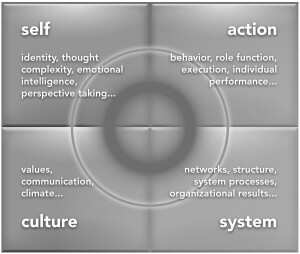 Ecosynomics makes it possible to see the often hidden, underlying agreements that most affect the human experience, enabling people to choose which fundamental assumptions they accept, the structures and processes that result from those assumptions, and the behaviors they want to experience in their daily interactions with others. It provides a unified framework for describing what tens of thousands of groups identified by ISC are learning. Jim and his team discovered that these groups start from a different initial assumption than economic scarcity. They start with abundance. Ecosynomics, the social science of abundance, explains what they are learning and how it changes all the rules of the game. Vibrant groups also achieve higher levels of social integration and governmental/administrative efficiency and effectiveness. They are demonstrating new ways of relating that are more sustainable and lead to higher performance and innovation than the currently accepted norm. What people in those groups are doing cannot be achieved by applying present-day economic agreements of scarcity (defined as state of lack, or not having enough, restricted in quantity). The emerging science of Ecosynomics provides a model to begin to name the field that observers and practitioners are discovering associated with creating vibrant organizations. 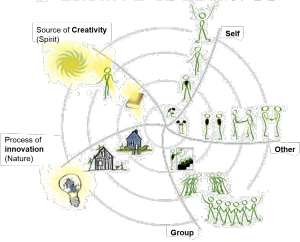 Vibrancy (the move away from scarcity) is required to drive the foundational changes needed to navigate the challenges we face as a society today. Unless we take an abundance mindset (a view that we can solve the problems we face using innovative thinking), we are destined to leave our children a world that is worse than the one we inherited. The Ecosynomics framework is a model of health that describes what people are learning about how to move from lower to higher vibrancy and economic prosperity. Vibrancy is what social systems experience when they are identified with and acting out of their greatest potential. It implies the concordance of diverse perspectives in a shared, meaningful whole, resulting in the emergence of a new, larger possibility. Self: I feel good about who I am and what I am learning (I can share my aspirations and contribute my greatest potential, and trust that others support my success – including allowing me to make mistakes and learn). Other: I believe others in the group support my success, and I support them (we don’t actively undermine one another). Group: I support and contribute to the organization’s mission and culture. The organization’s leadership acts ethically and works for the good of its people and clients. 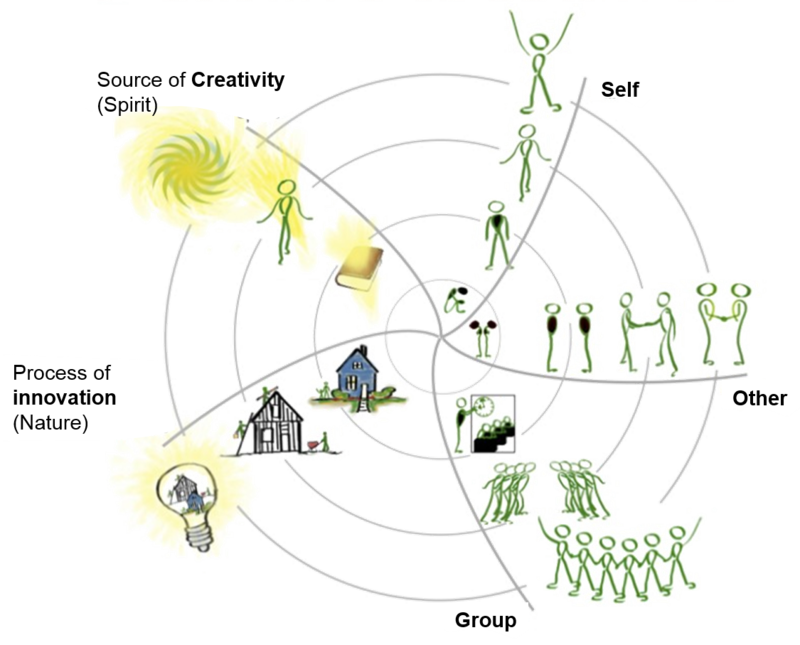 Source of Creativity/Spirit: We create an environment where creative ideas are solicited from everyone. We actively seek ways to continually improve our organization. Process of Innovation/Nature: We pilot creative solutions and continually improve what we do and how we do it to meet the needs of all stakeholders. If any of these relationships are out of balance, we will perform in a sub-optimal manner. To learn about your organization’s vibrancy, take the free Ecosynomics vibrancy assessment. To learn more about the Institute for Strategic Clarity and the frameworks, follow this link or subscribe to Jim’s blog.